CRAFTSMANSHIP AND BEER HAVE FIVE MAIN INGREDIENTS. YOU CONSIDER THEM CAREFULLY. WE HAVE DEFINED 5 MAIN "INGREDIENTS" OF THE CRAFT-BREWING BUSINESS THAT DESERVE THE SAME ATTENTION. A firm’s value chain is the set of business activities necessary to develop, produce, and market its products or services. 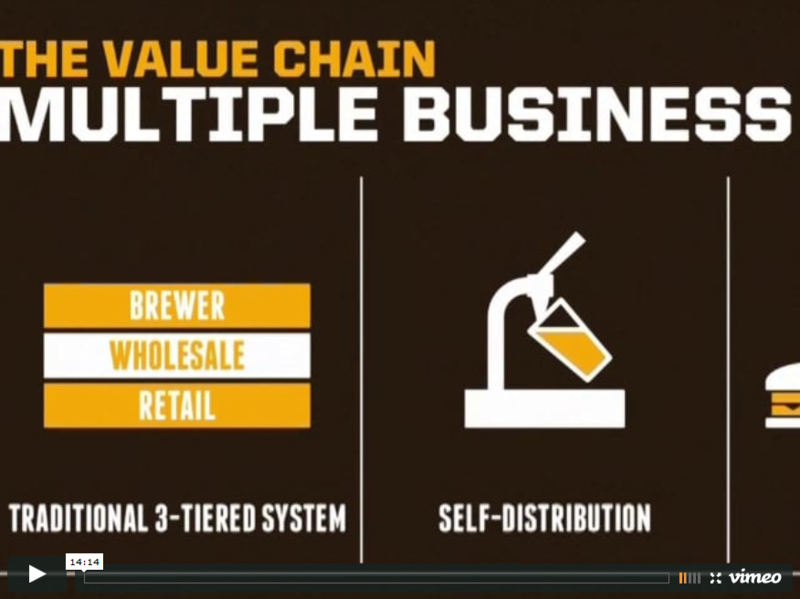 Which business functions should your craft beer business engage in? Where do the profits lie? Value chain analysis provides the answers. Value chain innovation provides the profits. 03/15/15: Illustrates how personal motivations, greed, and ingenuity among a small number of people can cause widespread industry consolidation. Learn how to discern the truth next time someone asks you to sell your brewery. 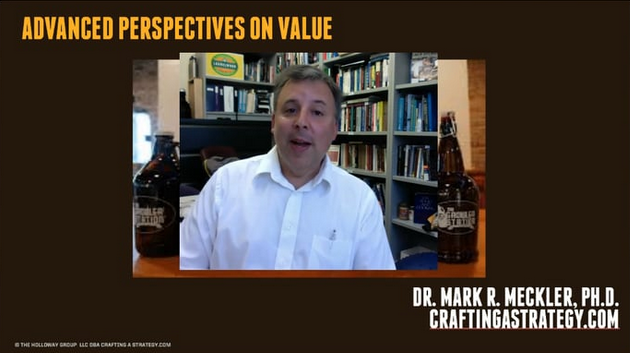 04/15/14: Watch Sam Holloway’s craft beer value chain speech at Penn State University’s Smeal College of Business. Sam was a keynote speaker for 2013 Global Entrepreneurship Week, and this talk will help you discover the passion and profit in every pint! 04/07/14: Value proposition, value added, value chain -- the word value gets thrown around a lot. What does it actually mean? 04/07/14: Firms prepared for consolidation survive, those that ignore consolidation risk failure. White Paper: Banks Will Listen, But Do You Want Them To? 04/07/14: We’ve identified what to look for in a lending partner, and it goes far beyond the interest rate on borrowed funds. 04/07/14: Bargaining Power is the leverage a buyer or supplier has over your brewery. How you manage this affects profitability. 04/07/14: Join us as we give advice to a home brewer seeking to go pro. 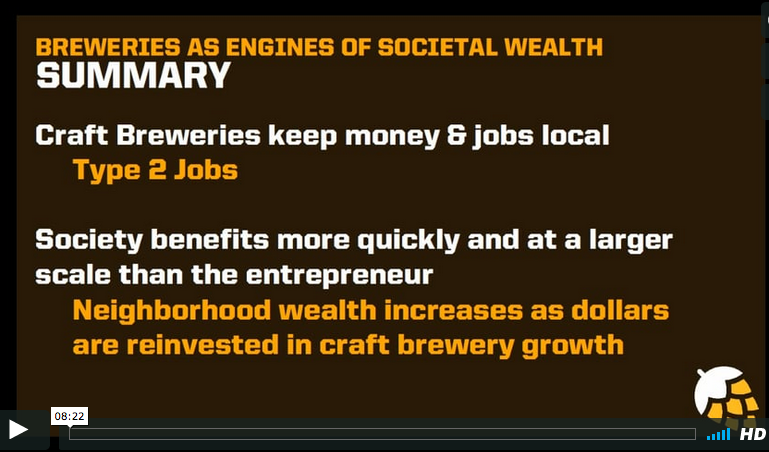 04/07/14: The threat of new entrants limits profitability for existing craft breweries. 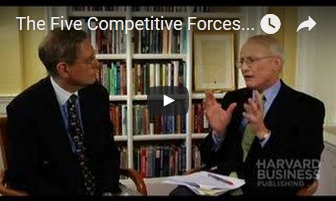 Find out how to plan for new competition entering your market. 10/04/14: Organize your time and resources to positively impact your business with simple, straightforward advice. Put your good where it will do the most. 10/11/14: Great firms have clear strategies, but they also adapt to external changes in ways that are consistent with those strategies. 11/10/14: Learn why percentages can lead you astray. What you earn is actually driven by volume of currency per transaction. White Paper: What Are Transaction Costs? 12/15/14: How can strategy help you minimize them? An introduction to transaction cost economics and the importance of economizing.